The history of an organic material such as wood predates the beginning of mankind. For centuries, wood has served valuable means for cultures around the world, on account of its structural capabilities as well as its signature veining and natural appearance. 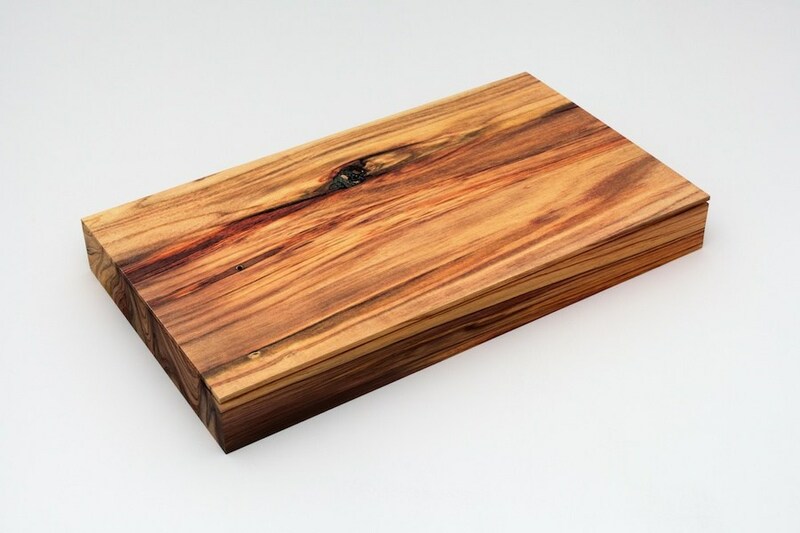 Wood has long been used for fuel, transportation, paper and printmaking, utilized as a construction material, employed in the design of furniture, musical instruments, everyday objects as well as early weaponry, and has long been valued as a medium in the visual arts. While the technique of woodcarving is one of the oldest arts of humankind, the history of wood in the context of art and culture dates back thousands of years to early wooden objects that served specific ritual or religious functions. 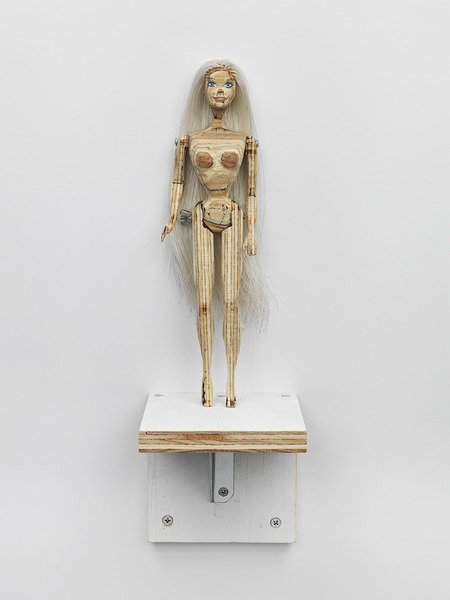 As a widely accessible material that is relatively easy to transform, wood attracted the interest of artists and craftsman throughout the Middle Ages, at which time the natural material became a favored medium in the art of sculpture. 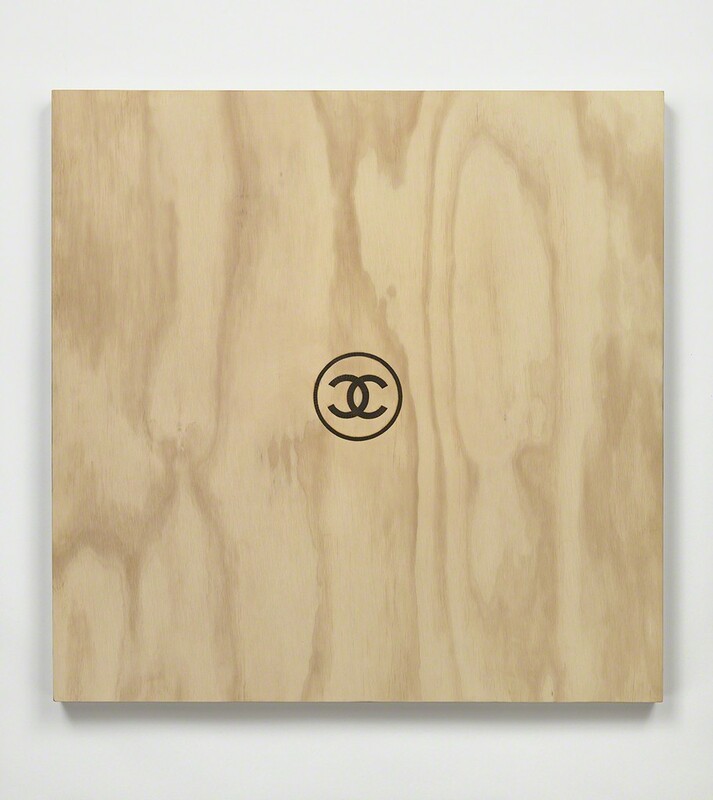 The importance of wood in the creation of art only grew stronger throughout the subsequent centuries, when found objects and everyday materials began appearing on artist’s canvases in the earl 1900s. 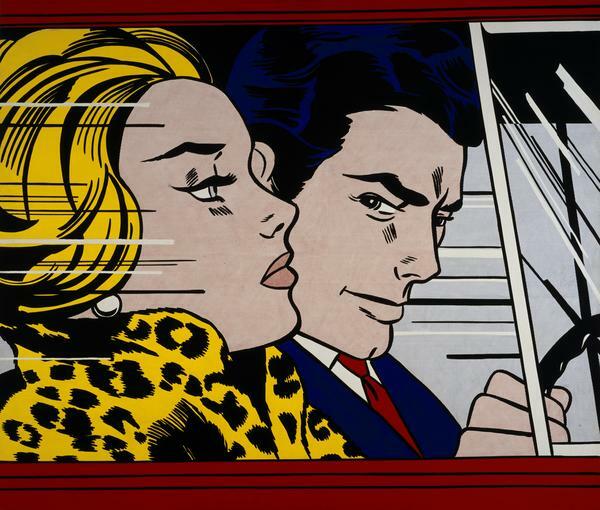 With the emergence of pop art in the mid 20th century, a movement that challenged the traditions of fine art through the glorification of everyday imagery and objects, wood became artistically valued not only for its physical properties but for its commonplace appearance. 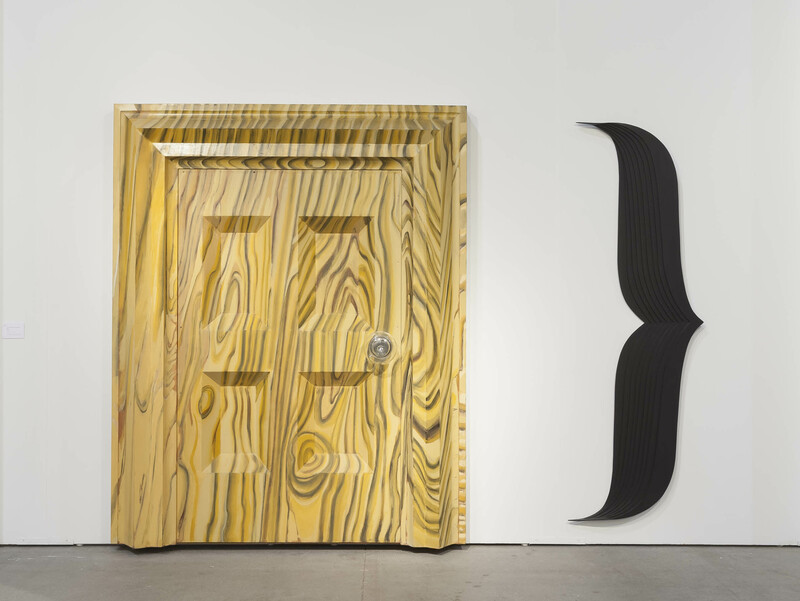 Beginning in the 1970s, American pop artist Richard Artschwager employed wood as a medium for sculpture, denoting his identity as both an artist and craftsman. 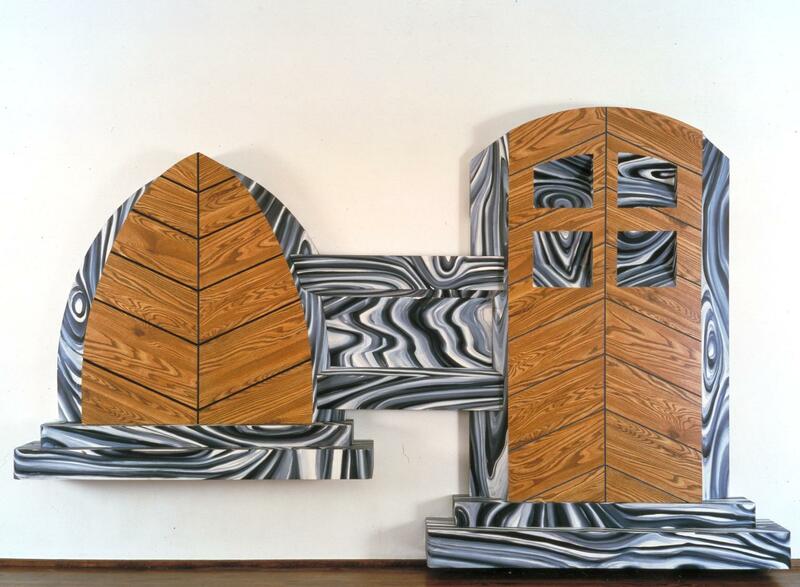 Artschwager often painted his work with wood-effect patterns to emulate and accentuate the flowing grain and spontaneous knots characteristic of the natural material. 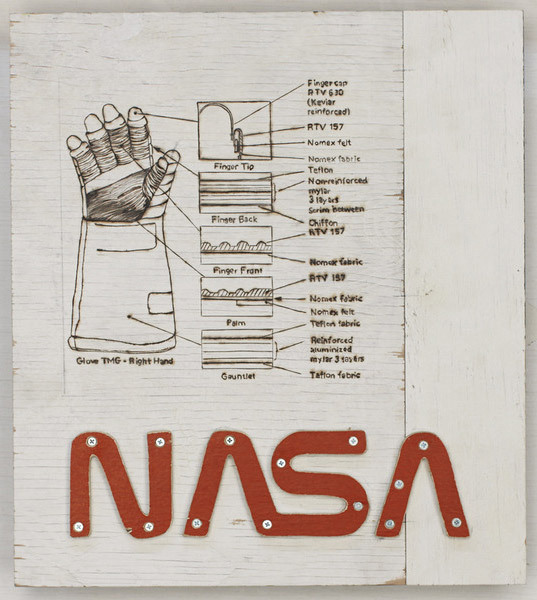 Wood has long been a preferred medium for contemporary artist Tom Sachs, whose work in sculpture, painting, and furniture design has utilized the organic material for over two decades. 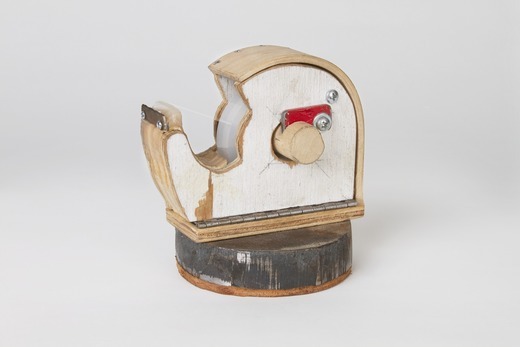 Akin to the creative objectives set forth by early pop artists, Sachs has rendered sculptures depicting everyday objects such as cinderblocks, tape dispensers, cameras and Barbies out of likewise commonplace materials such as plywood and barrier wood. 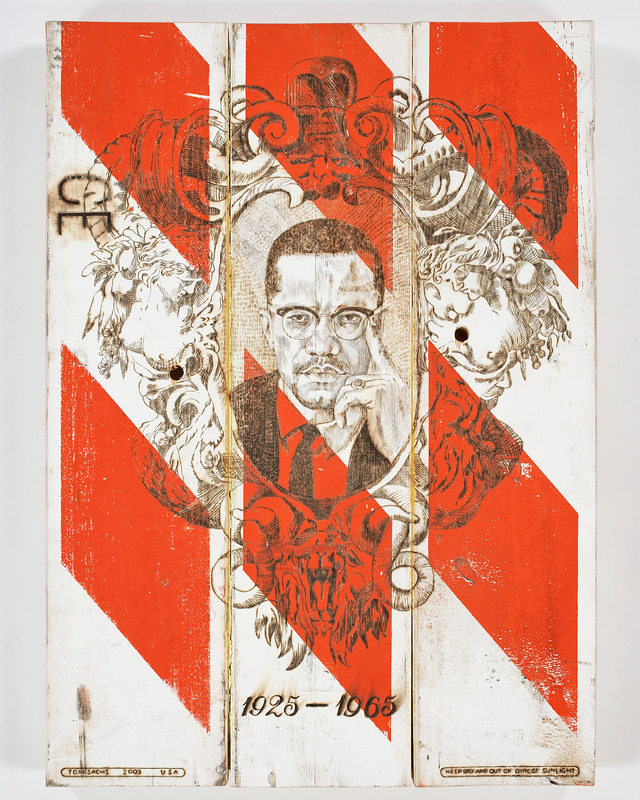 Sachs has often employed the technique of pyrography – the art of decorating wood or other materials with burn marks resulting from the application of heat – in his work, utilizing plywood in place of a traditional canvas and a wood-burning implement as an alternate paintbrush. 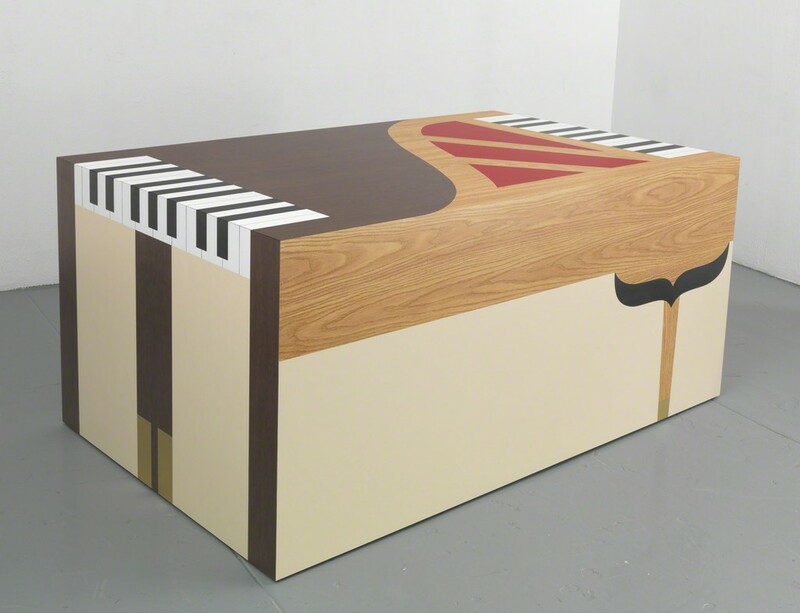 While Richard Artschwager and Tom Sachs have frequently worked with wood due to its structural capabilities and transformative qualities, others artists have chosen to merely create illusions to wood in their work utilizing alternative materials. 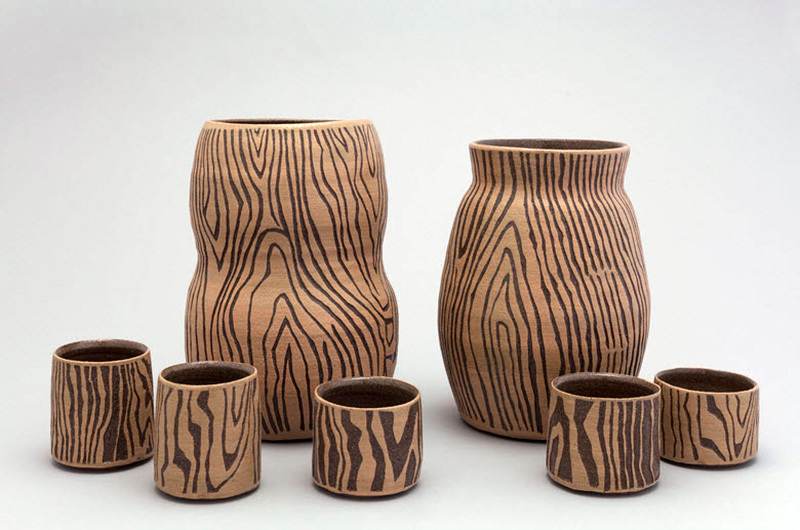 Female artist Shio Kusaka, beloved for her handmade ceramic vessels adorned with fluid markings and muted colors, produced a series of pots, bowls and vases in 2016 painted and carved to resemble the appearance of wood grain, while in 2011, artist Tauba Auerbach produced a digitally printed book titled ‘Wood’. When closed, the piece takes on the appearance of a solid wooden block, while each interior page reproduces a scan made of the material’s inner surface; opening the book is like dissecting the object at various levels, peering into the interior of nature. 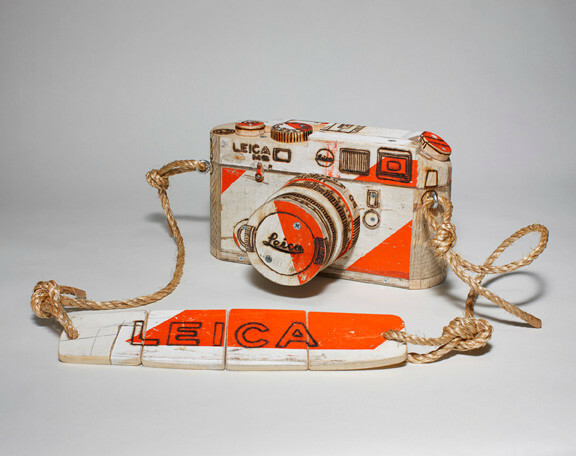 The fundamental paradox of producing digital prints depicting a natural material such as wood has been utilized repeatedly in textile design. 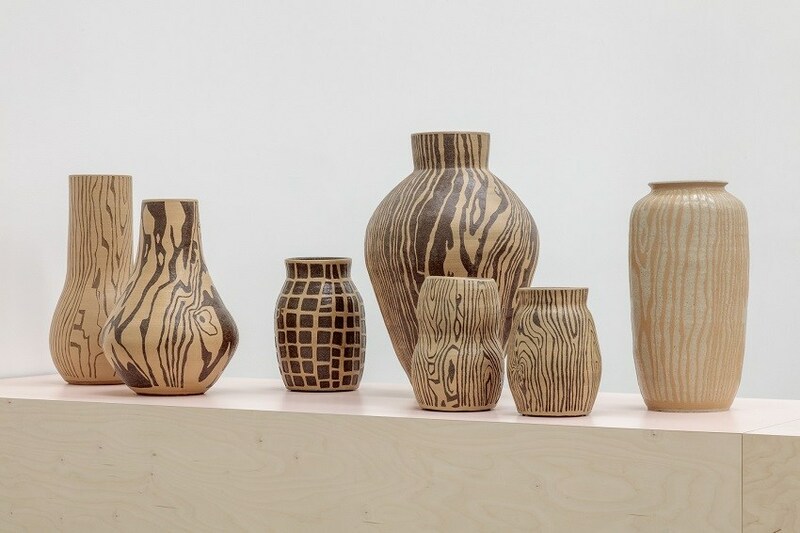 Sisters Kate and Laura Mulleavy, the powerhouse duo behind Rodate, sought inspiration from the outdoors for spring/summer 2011, showing a collection comprised of prints that employed wood’s naturally occurring grain as the season’s hallmark pattern. Similarly, on the fall/winter 2011 runway at Céline, creative director Phoebe Philo showed a collection of streamlined garments inspired by luxury automobiles, with a selection of modernist wood-grain prints denoting the featured material inside many old fashioned cars. 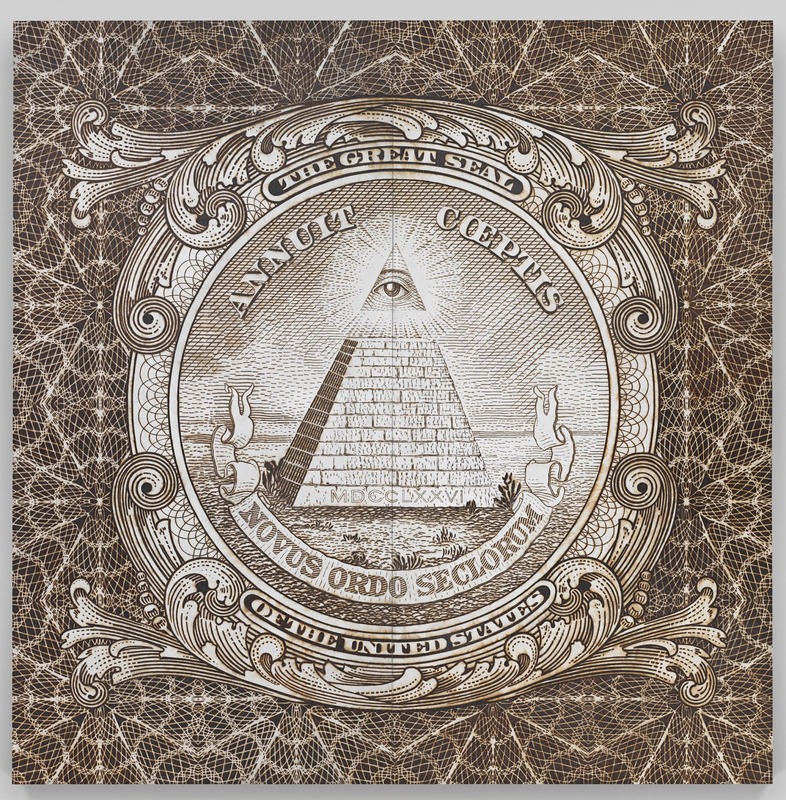 For Spring/Summer 2009, Alexander McQueen took an earthly approach to the season’s textiles, showing a variety of garments comprised of digitally manipulated wood grain prints, denoting the industrialization of the natural world. McQueen’s steadfast relationship with the organic material dates back decades. 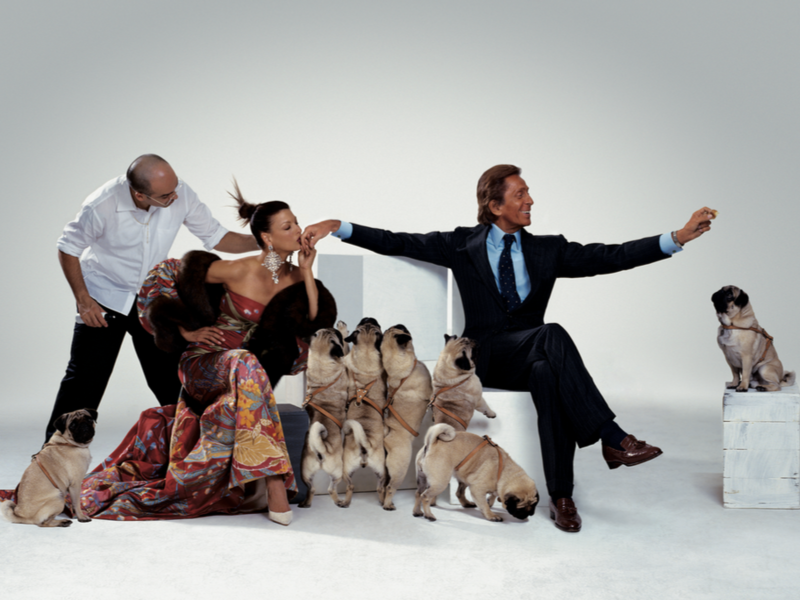 For the late designer’s groundbreaking spring/summer 1999 collection, simply titled No. 13, McQueen produced a winged corset and fan skirt out of machine-cut, hand-punctured plywood, and a set of prosthetic legs made of carved elm wood for American paralympic athlete Aimee Mullins. While McQueen’s wildly daring and delicately sculpted prosthesis for Mullins sent ripples through the fashion world, wooden footwear has been utilized by cultures for centuries. Traditional clogs, for example, made in part or completely from wood, originated in Europe around the 12th century and have remained largely unchanged ever since, with similar versions still being worn in The Netherlands. While countless designers have worked to modernize this old-world wooden foot covering, Dutch designers Viktor & Rolf showed a collection of daring garments for fall/winter 2007, each look accessorized with hand-painted, traditional wooden clogs. In Japanese culture ‘Geta’, a footwear hybrid between European clogs and flip-flops, originated in the 8th century and have maintained prevalence today. This traditional Japanese sandal, usually worn with a casual kimono, includes an elevated wooden base to keep the wearer’s feet out of the mud and the kimono’s hem above the ground. No single runway moment in the history has merged fashion, art, design and performance quite like Hussein Chalayan’s fall/winter 2000 collection, when the designer successfully transformed a piece of wooden furniture into wearable clothing. As the last model emerged from backstage into the show’s living room-inspired set wearing a simple grey shift dress, she stepped into the middle opening of the room’s coffee table, lifting up a center ring and transforming the low wooden table into a structured skirt. Hussein Chalayan’s fall/winter 2000 presentation redefined the role of wood in fashion design through broadening the parameters of what constitutes a garment. 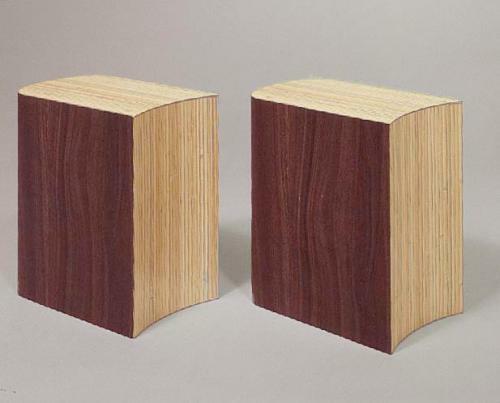 Comparable technical innovations in the field of furniture design were achieved in the first half of the 20th century through the development of techniques in forming and bending wood. 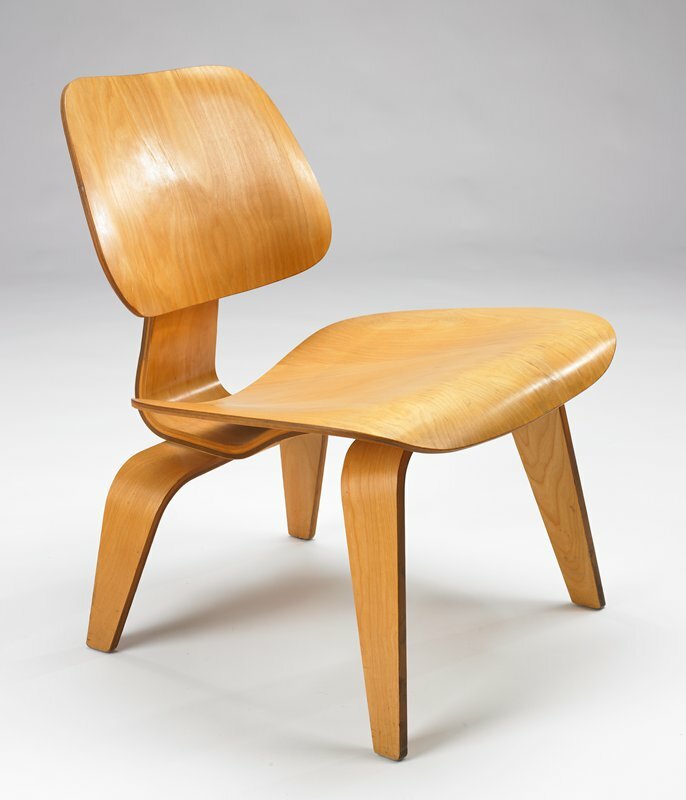 In the early 1940s, American industrial designers Ray and Charles Eames began experimenting with plywood, a strong, light, durable and organic material. They spent five years testing the inherent possibilities and limitations of the natural material, until they found a way to both bend and mold plywood, achieving compound curves that were optimal for the human body. 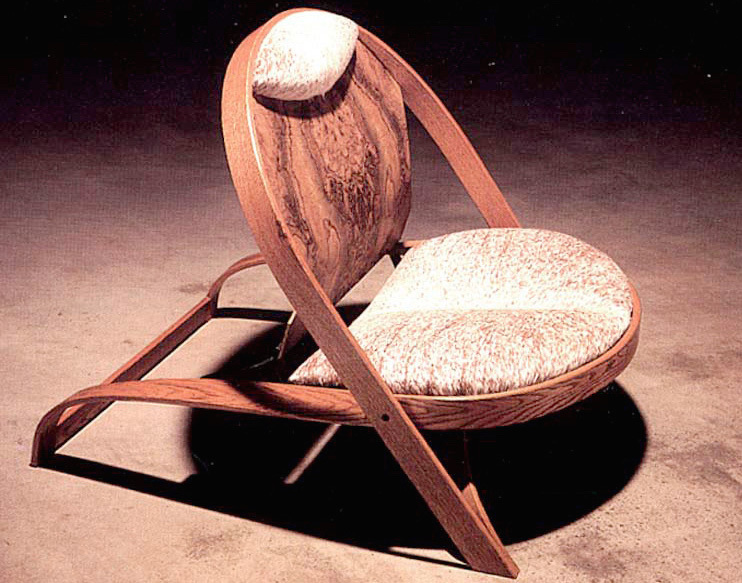 The DCW Chair from 1946 was one of the first in a series of plywood seating implements created by the husband-and-wife team. 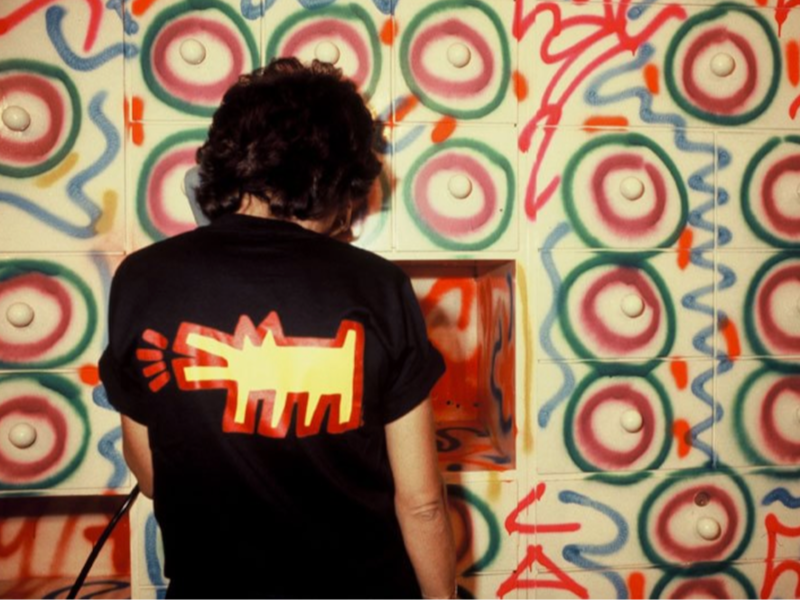 The Eameses went on to design countless chairs, tables, shelves and other pieces of furniture that combined elements of emerging technology and mass production with style, functionality and comfort. 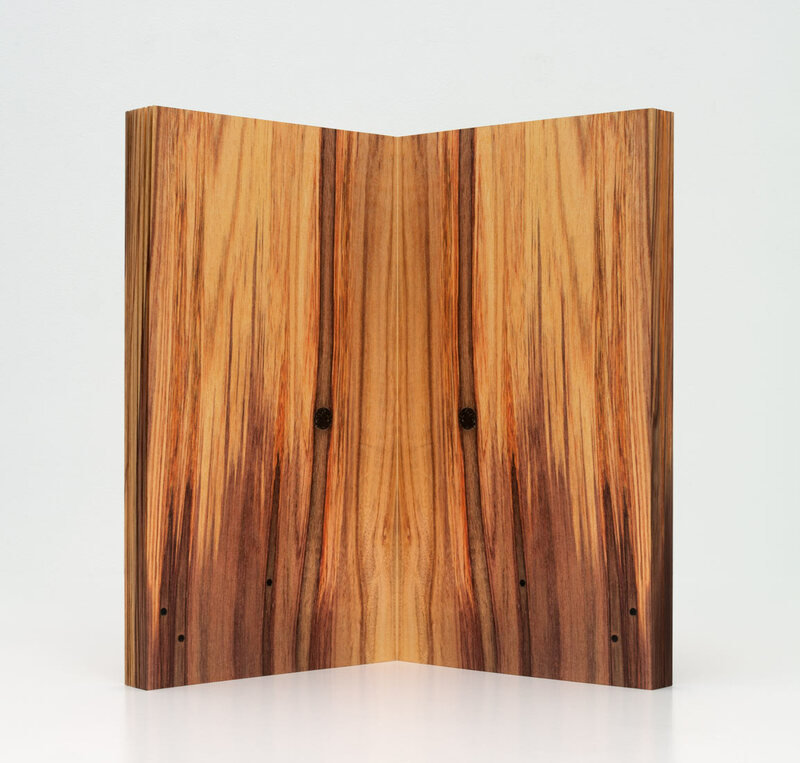 Their achievements in the process of steam-bending wood impacted the future of furniture design, ushering in a modernist aesthetic driven by contrasting materiality and new modes of production that came to embody to latter half of the 20th century.